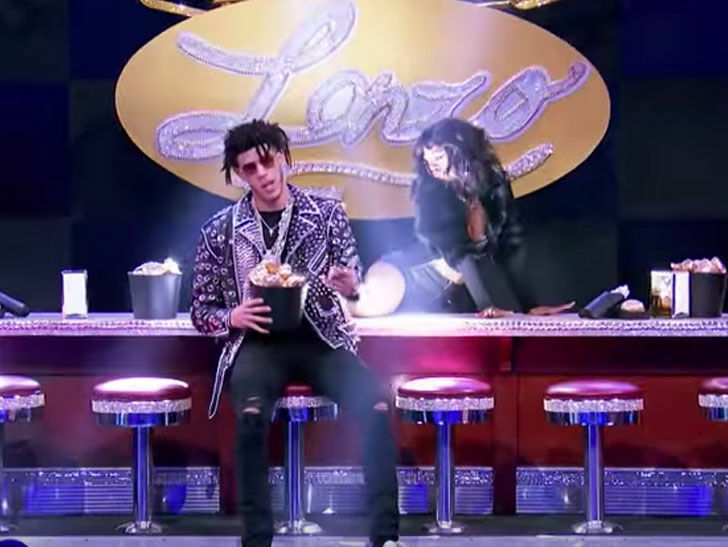 Lonzo Ball was serving up some Migos with a side of booty on “Lip Sync Battle” … where he performed with a twerking girl who nearly threw her back out during LB’s session. The Lakers rookie performed “Bad and Boujee” on the show (which airs Thursday) — while decked out in a studded leather jacket and dreadlocks. Oh yeah, LaVar Ball was on set, too … because of course. Chrissy Teigen seemed to love the performance — and Lonzo invited her to be one of his twerk girls in future performances. You gotta hear why she declined Zo’s offer — funny stuff.